While protesters in Turkey are demonstrating against the perceived lack of action of the Turkish government against IS with many protesters dead after violent clashes with the police, the trial against the civilians and police officers who killed another protester during another protest, last year’s Gezi Park protest, continues. 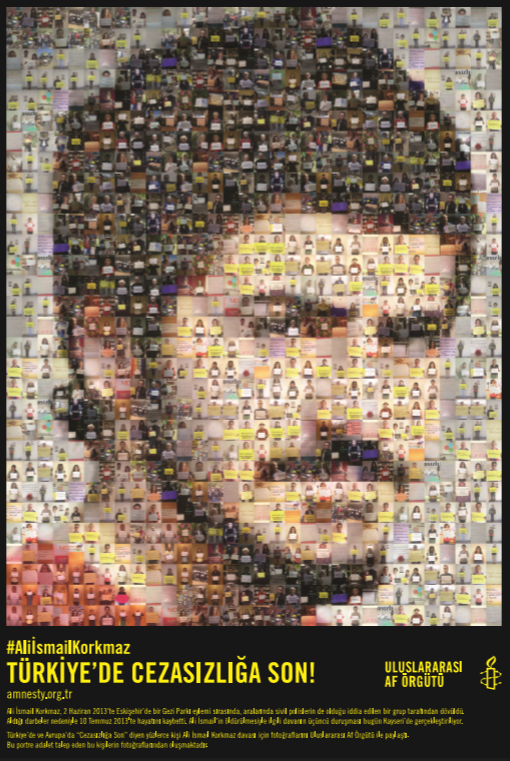 This Thursday, the fourth hearing in the case of Ali Ismail Korkmaz took place. Ruhat Sena Aksener and I were present to observe the trial for Amnesty International to increase the chance of a fair trial and to see that justice will be done. The hearing started off with two reports that were read out by the judges: a medical report by the Forensic Medical Institution of Turkey and a technical report by TUBITAK regarding the CCTV cameras. Both reports confirmed what was already shown in previous trials: Ali Ismail Korkmaz had died after being beaten (and not, as the defense had argued, because he suffered from an illness or had fallen of the stairs) and the defendants had been present at the scene of the crime at the time when the crime had been committed. The technical report also showed that the security cameras had been tampered with, obviously with the aim to cover up the crimes. When recovered footage from the cameras was shown, the family of Ali Ismail Korkmaz left the courtroom: they could not bear to see their loved one murdered. The rest of us in the courtroom watched images of people kicking Ali Ismail Korkmaz, even when he was lying on the floor, defenseless. At the end of the day, the judges closed the hearing and determined that the next hearing would take place on 26 November. For the family of Ali Ismail Korkmaz this painful trial, where they have to hear over and over again how their son/brother/nephew was killed and where they have to hear the defendants say that their use of force was appropriate or, in the case of the civilians, that they only did what the police told them to do, is still not over. Brightening up the day was little Ali, the one year old nephew of Ali Ismail Korkmaz. This little boy, named after his uncle, was smiling throughout the hearing, happily unaware of the grave topics discussed. What keeps the family going during this difficult trial is that others should not have to go through what they are going through. 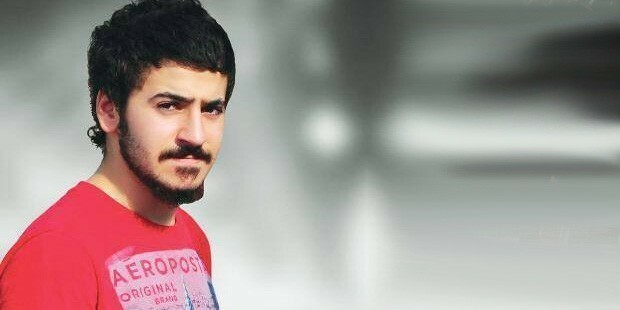 “I will not get my son back, but I want a fair trial so that the perpetrators will be punished“, said the mother of Ali Ismail Korkmaz. For now, we have to wait until November and it is expected that more hearings will follow before there will be a final verdict. Amnesty will be there. This entry was posted in Freedom of Assembly, Freedom of Expression, Impunity, Uncategorized and tagged Ali Ismail Korkmaz, Gezi Park, impunity, Police violence. Bookmark the permalink.